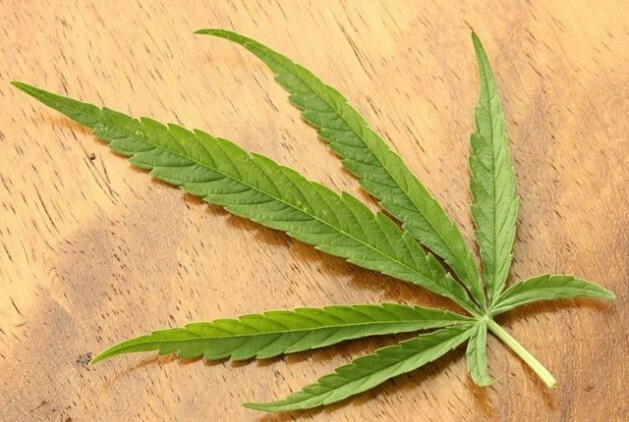 MEXICO CITY, Aug 14 2013 (IPS) - Marijuana and the closely related hemp can provide medicinal, food and textile industrial materials that could attract substantial investment and development in Mexico if cannabis were legalised and its cultivation and sale regulated, experts say. “Cannabis presents possibilities for large-scale agricultural production, as it grows everywhere, and its current and potential uses represent an undeniable opportunity that is very attractive for economic development,” filmmaker and photographer Julio Zenil, one of the most active advocates for the legalisation in Mexico of marijuana, popularly known here as “mota”, told IPS. Cannabis sativa is a versatile plant with different uses, depending on the strain and the environmental conditions. Tall varieties (commonly called industrial hemp) are cultivated mainly for the fibre in the stems, which have very little resin (the psychoactive portion). Lower-growing, spreading varieties are grown for the psychoactive chemical compounds found in resin glands on buds and flowers, from which marijuana and hashish are extracted and consumed for recreational, medicinal and spiritual purposes. The sturdy hemp plant grows almost everywhere in the world, maturing within a year and attaining heights of up to five metres, without the application of chemical fertilisers or pesticides. It also has the ability to sequester large amounts of carbon. Hemp fibres are longer, stronger, more absorbent and more insulating than cotton fibres. The plant can be used for food, animal feed, cosmetics, oils, textiles, paper, rope-making and biofuels. The seeds, a source of hempseed oil, are very nutritious, containing high levels of essential fatty acids, vitamins and dietary fibre. Mexico’s anti-drug strategy is riddled with contradictions. The General Health Law permits possession of five grams of marijuana for personal use, but production, distribution and sale are banned. The country’s laws also ban production and transformation of industrial hemp, in spite of agreements with other countries, like the North American Free Trade Agreement (NAFTA) with Canada and the United States, in force since 1994, and an agreement with the European Union, which allow trade in several of its by-products. The Single Convention on Narcotic Drugs of 1961, the United Nations Convention Against Illicit Traffic in Narcotic Drugs and Psychotropic Substances of 1988 and the Convention on Psychotropic Substances of 1971 do not restrict industrial hemp production, but they do ban the cultivation, production and trade in cannabis as a drug. Some countries ban hemp because they confuse it with marijuana, which is produced from the flowers of the female cannabis plant. Hemp production “has economic aspects that should be addressed. We will have to see how to regulate it,” economist Pedro Aspe, a former finance minister under conservative president Carlos Salinas (1988-1994), told IPS. Use of the hemp plant goes back 8,000 years in China, where it was employed to make paper. There is also evidence of its existence in other parts of the world. The Spanish colonisers introduced hemp into Mexico in the 16th century and 200 years later encouraged its cultivation as a source of raw materials. The Mexican government first restricted production and sale of marijuana in 1920, ahead of the U.S. Marijuana Tax Act of 1937, which made possession or transfer of cannabis illegal throughout the United States under federal law, except for medical and industrial uses. Illegal cultivation of marijuana is concentrated in the western and southern states of Mexico and is aimed at the lucrative U.S. market. The Latin America Hemp Trading, a company based in Montevideo, Uruguay that is working to establish large-scale hemp cultivation in the region, and the campaign for the International Year of Natural Fibres 2009, estimated the global hemp fibre market at over 90,000 tonnes a year, with China producing 50 percent, the European Union 25 percent, and Canada, Chile, South Korea, Australia and other countries the rest. Optimum yield of hemp fibre is over two tonnes per hectare, while the average yield is 650 kg. Average seed yields are one tonne per hectare, according to figures published for the International Year, which was promoted by the Food and Agriculture Organisation of the United Nations (FAO). Mexico allows imports of seeds, raw hemp, textiles, twine and cordage for rope-making. At least eight initiatives for the decriminalisation of marijuana have been presented to the Mexican Congress and state legislatures since 2007. Three of them proposed industrial uses of cannabis. These proposals argue that allowing and regulating legal cultivation of hemp would create a development opportunity for thousands of rural producers and stimulate new industries, such as paper-making, textiles, and the food, medical, cosmetics and construction industries. If marijuana cultivation were allowed in Mexico, one of the first to be interested in investing in its production is agricultural businessman Guillermo Torreslanda. He suggested a scheme with separate arrangements for production and distribution, in order to avoid monopolies and encourage competition.